What Helps Bad Breath? A Guide to Treating Halitosis | Smile Logic, Inc.
“What helps bad breath?” That is probably the most frequently asked question we receive at SmileLogic. Whether it’s a spouse or the person directly dealing with it, there is always a tinge of frustration accompanying it. You’re at the office because you care about dental hygiene. You seem to be doing everything correctly. So why do you still have bad breath? There indeed is something you can do about halitosis. Here are the things that will help you the most. Frustrated clientele wondering what helps bad breath improve are often surprised to discover their diets play an important role. Beyond obvious perpetrators, like garlic and onions, most foods attract bacteria. You don’t have to avoid these foods — at least not for breath control — but you always should practice moderation when consuming them. Daily dental care is essential. Brushing your teeth isn’t enough. You should floss at least once a day to make sure food particles are not lodged in your teeth waiting to be joined by bacteria. Scraping your tongue with either a tongue scraper or a toothbrush is recommended as well. While mouthwash is a good idea, alcohol-based kinds are not since they dry out membranes and make it easier for future bacteria growth. Lastly, if you wear dentures, make sure you remove and properly clean them each night to ward off bacteria buildup. Chewing tobacco and smoking can create a hospitable environment for tartar and plaque buildup. They also put you into a higher risk category for contracting oral cancer. There are numerous other potential dental issues as well aside from the known life-threatening risks of developing lung cancer. Chewing gum is a favorite for those looking to fight bad breath. However, it’s not your only option. Also, drinking lots of water will help you avoid dry mouth, and it can extract many of the overnight bacteria that cause morning breath. If you’re suffering from bad breath, don’t get discouraged. 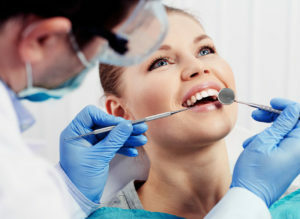 Try the things we have mentioned here and also consider talking with a registered dental hygienist. In some cases, there may be special circumstances, such as a prescription medication, contributing to the problem. Your RDH can help you pinpoint the problem and find a solution.